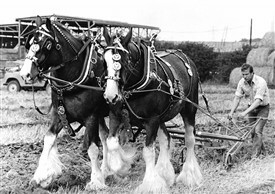 These pictures are from the Echo Archive and show Denis Hayter of Fobbing ploughing with horses Bill and Ben at the Rochford Hundred Ploughing match in 1980. 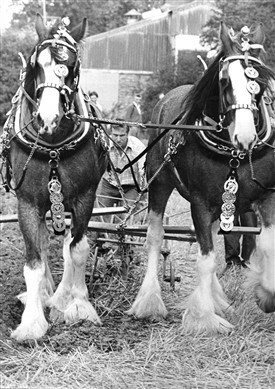 The horses were owned by Sam Stacey of New Hall Farm Canewdon. Denis is a farrier and still living in Fobbing and will hopefully be adding his memories of these and other ploughing competitions. This page was added by Brian Pettitt on 07/10/2017.